Creartive Builders - Builder based in Banstead, Surrey. 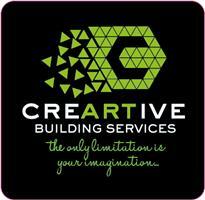 Creartive Builders offers an impressive range of services for any new build, internal or external renovation projects. We pride ourselves on providing a highly professional service from start to finish, understanding your requirements and meeting customer needs. All our work is carried out by a highly skilled and experienced team. Our reputation ensures that Creartive Builders are successful in securing repeat business from many long standing clients.